Good luck with your bake-off endeavors! 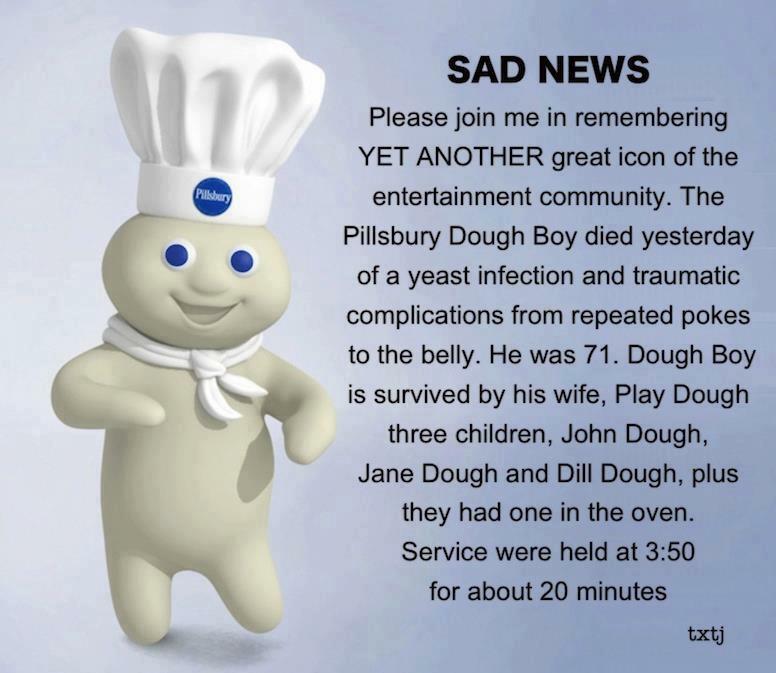 Loved the Doughboy news. It can’t be true–I saw him at the grocery store yesterday!! Hahahahahah. Trying to picture what Dill Dough must look like.